If you are lucky enough to have a garden office, you will no doubt want to make it as cozy as possible, while ensuring it has all the necessary equipment to help you go about your working life. The problems begin when you need reliable internet access for hours at a time. It’s likely that the strongest Wi-Fi signal is somewhere inside the house, meaning you and your office can be quite out of reach. This is due to a week signal, the distance from the house to your office and occasionally the thick office walls. Thankfully there are solutions available, which can mean you can have the connection you need to work from your office successfully. If you haven’t finished building your office just yet, you may be in luck. If you still need to sort out your electricity supply, you will find it easier to get an internet connection that’s as reliable as you need it. You should think about running a Cat5 cable from the router in your home to your new garden office. This cable will need to be buried just as deep as your electrical cables, so if you can stick them in together, you’ll be killing two birds with one stone. If you have left things a little too late, don't panic, you will be able to get a stable and reliable internet connection without much fuss. 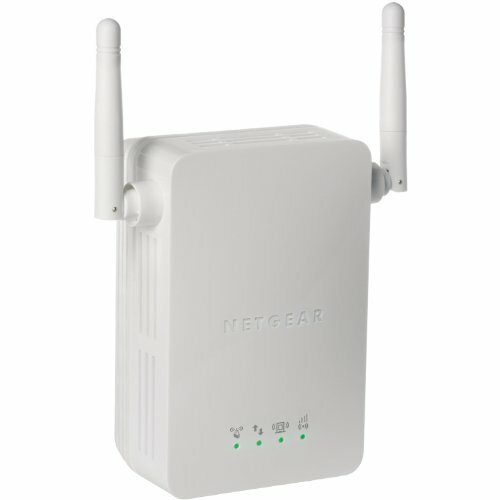 Buy a repeater – a repeater is able to bounce your signal from the router in your home to the repeater, and then on to your computer. Amazingly, this little piece of technology is able to vastly extend the signals’ range. Use a home plug system – even though home plugs are not able to offer you really good speeds or even the level of security that some other options do, it's something you may wish to consider. Built in two parts, the home plug can be connected to your router through the use of an Ethernet cable. This cable needs to be plugged into a 13 amp socket. The other part of the home plug is connected to a 13 amp socket in your office, and it can boost the signal greatly. You will have the opportunity to choose between wired and wireless connections, whatever suits you best. Antenna Replacement – this useful bit of equipment works by sending out your Wi-Fi signals in lots of different directions. This may mean you won’t get the worlds’ best signal in each of the directions, but it should be quite good. If you find the signal isn’t strong enough, you might want to think about buying a directional antenna and pointing it at your garden office. This will help to make your signal a lot stronger. I really don’t think I need to tell you why broadband is so great, we all know how having it in our homes and indeed in our garden offices means we’re able to work, send emails, watch live TV and even talk to people on the other side of the world. The fact of the matter is that those who work from home and try to do without broadband start to struggle. There are even those who try to work on their computers, but attempt to send emails and documents via their phones. These days’ it’s amazing what a mobile phone can do, but they aren’t quite the same as sitting at a computer and having all the right programs at your disposal. Quite simply, if you want to work from your garden office, and make a success of it, you need to have broadband. If you already find you resist using your phone because it can be a bit of a fuss communicating via email using a small screen, you could be missing out on work and vital opportunities. Having a good fibre optic broadband connection in your garden office is vital, and it's the only way you're going to be able to work with ease, while meeting those deadlines and answering any urgent messages that get sent your way. I am not prepared to risk losing work, therefore it was vital I installed a suitable method so I could connect my garden office to my home internet network, and you should do the same. Although setting up a connection may take a bit of time, once you have, you’ll be very thankful you did.